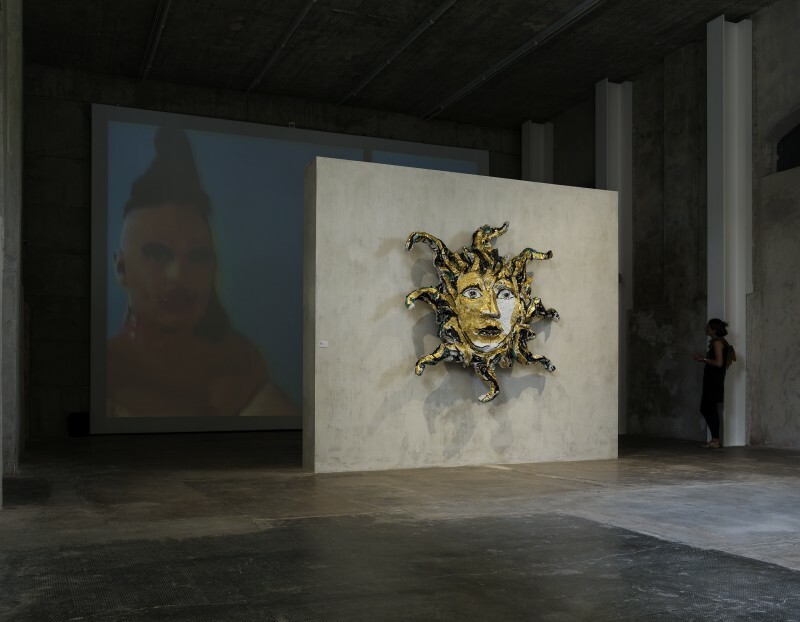 In Part, curated by Nicholas Cullinan, is the group currently showing at Fondazione Prada in Milan, up to Novermber 1st. 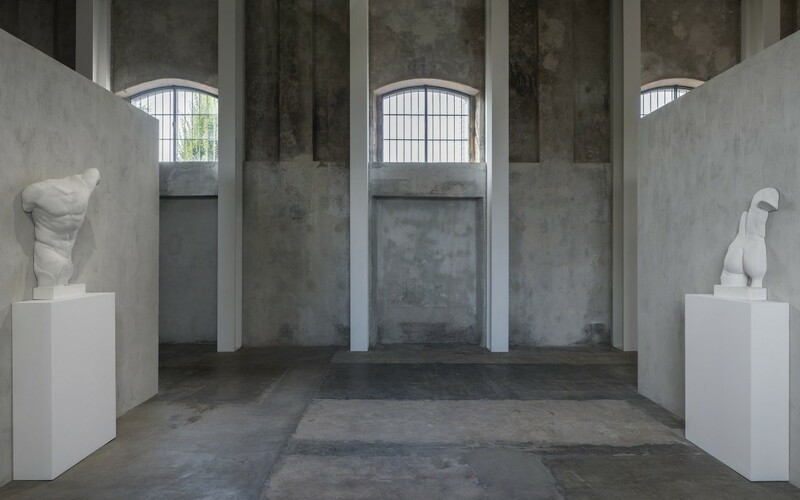 The exhibition, setted up in the northern gallery, one of the former structure of the old distillery composing the new Fondazione Prada, is presenting 17 contemporary artist’ works coming from galleries all over the world. The exhibition moves around different art typologies from the twentieth century: paintings and sculpture, photography and movie. Lack and censure are main themes, through the representation of parts of human body that show their heterogeneity and incompleteness. Naked fragments cut off from their original whole that succeed in achieving a new unity, a directory able to close off the element from the entire universe. 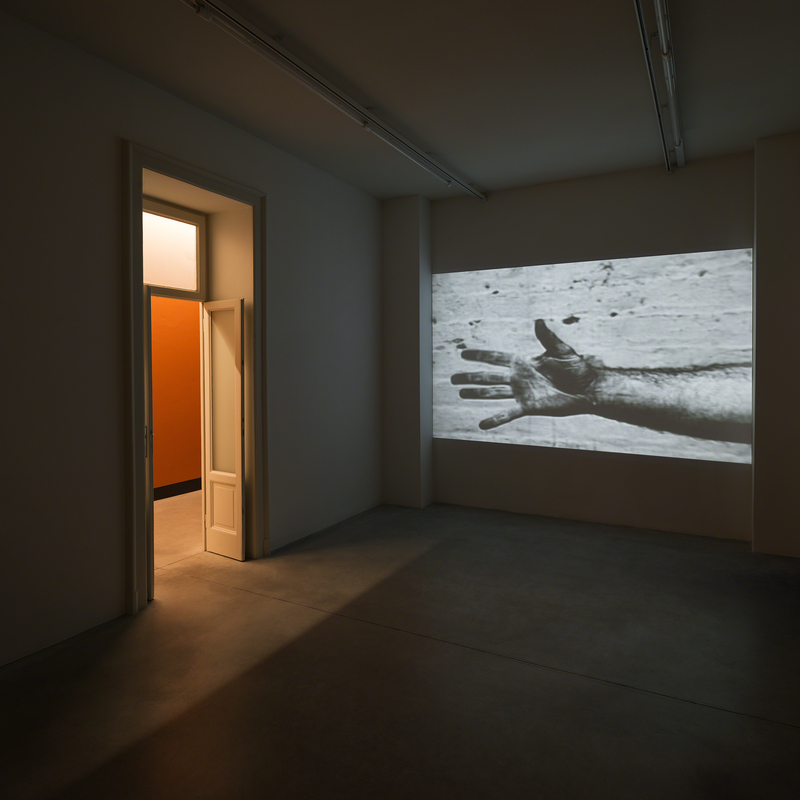 The first room is dedicated exclusively to the hand, starting from the fingers cut off hand (except for the middle one) by Maurizio Cattelan, a smaller version of L.O.V.E., the Carrara marble sculpture in Piazza Affari in Milan. One of the most significant work is the black and white movie by Richard Serra, Hand Catching Lead (1968); static shot of a hand which over and over again tries to catch pieces of metal continuously falling from above. Ended the hand’ discourse, Cullinan switches to the cut, to the shot break up, to the zoom. Here we have two works by Domenico Gnoli Capigliatura femminile (1965) and Waist Line (1969), normal paintings, aseptic, extremely clear and cold, almost obsessively referential. The ‘painting with fire’ by Kline acts as a counterpart. In this painting, the French genius deals with two female body outlines which seem to evaporate in the lack of a normal shape. Thanks to the fire, the artist manage to get a strong balance between explosion and implosion, a dynamic balance between presence and lack. Llyn Foulkes, Pino Pascali e Man Ray are just some of the artists that we meet on the path before meeting Lucio Fontana’ Head of Medusa (1948-54). Medusa is a Greek mythological figure: according to myth she had the power to turn to stone anyone who had crossed her eye. Perseus will behead her and that is why, in art history, the head is the iconographic element that always will identify Medusa. Fontana decided to represent the mythological Gorgon by realizing a molten glass and cement mosaic: it is impossible not to get stuck in front of the sculpture, more fragmented thanks to the mosaic, able to light up the space around, blocking the observer concentrated in decode the thousands part of the whole. The exhibition ends with Charles Atlas’ video installation Teach (1192-98), a video portrait where the heavily make up subject mimes the words of Take a look by Aretha Franklin. The actor is Luigh Bowery, an important artist in the London of ’80-’90. Bowery looks at himself, a forswear, an emancipation of the soul from the body, of the expressions, of the communication from the soul. In this case also the shot is split, the image is asymmetrically doubled, this expedient hypnotise the crowed, bewildered and bewitched at the same time in front of Bowery’ performance. In some cases we do not perceive the fragmentary sensation thanks to the incredible iconic strength of the framed part, such as Gnoli or Cattelan’ hand: in other cases, the lack leads the viewer to search of something non-represented, to the complementary integration. In all fragments, in conclusion, the artist got rid of the standard overall representation of body, deciding to create new relations between different unities, new virtues for the fragments involved.